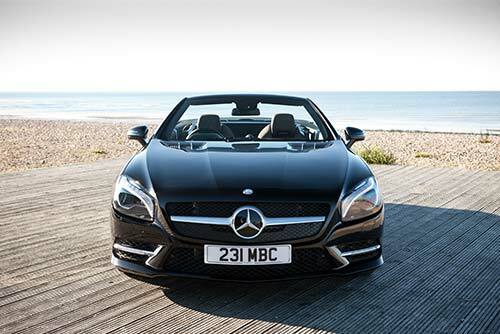 Mercedes-Benz have announced updates and power hikes at the top and the bottom of their SL range. The new SL 400 Sport joins the SL line up, replacing the entry level SL 350. 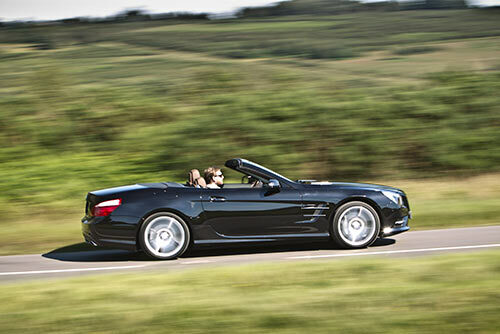 While the SL 63 AMG gains even more power. Fitted with an all-new V6 biturbo engine, producing 328bhp and 354 Ib ft torque, an increase of 26 bhp and 81 Ib ft of torque over the outgoing engine. Mercedes are very proud that the new engine meets EU6 emission standards, while also decreasing the0-62 sprint from 5.9 to 5.2 seconds, despite overall displacement being decreased by half a litre. The SL 400 Sport will be fitted with 19” AMG 5-spoke alloy wheels as well as AMG front and rear aprons and side skirts, a boot lid spoiler and sports suspension. On the inside, features include an instrument cluster with a chequered flag design, a flat-bottomed sports steering wheel with silver gear shift paddles, plus brushed light aluminium trim and AMG floor mats. 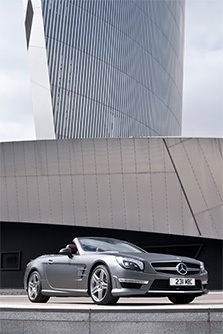 The SL 400 and SL 500 (which also now meets EU 6 standards) also now feature DAB and Tyre Pressure Monitoring as standard. 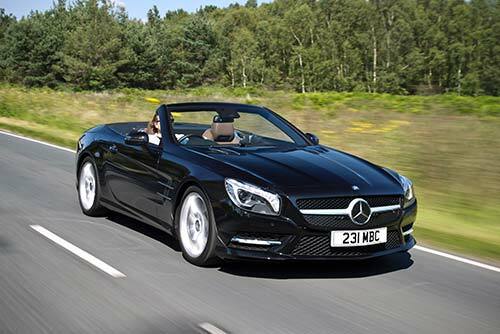 The Mercedes-Benz SL 400 will be available from £72,500 OTR and deliveries will start in July. The SL 63 AMG also receives updates from July. Power increases to 576 bhp – an increase 47 bhp. Torque is also up by 73 Ib ft, pushing the total to a massive 664 Ib ft. Mercedes claim these increases don’t compromise fuel efficiency or emissions. An AMG rear axle limited-slip differential is also fitted as standard. With a locking effect of up to 40 per cent.